I really enjoy keeping fit, and one of the ways I do this in a city is through yoga. Granted, I walk everywhere living in a busy city environment, as opposed to driving everywhere when I lived in Devon, but of course in Devon I was surfing a lot more because the beach was right on my doorstep (or maybe a few minutes drive away.) I also love dancing and I take weekly Latin & ballroom dancing classes, but for relaxation I do love to partake in yoga. I had thought that it would be easy to find yoga classes once I lived in a city, and I suppose it was easier than when I lived in the west country, but so expensive! Classes I looked at ranged from £9 upwards per hour session, and as it was something I wanted to do regularly, I wasn't sure I could afford to pay for that! 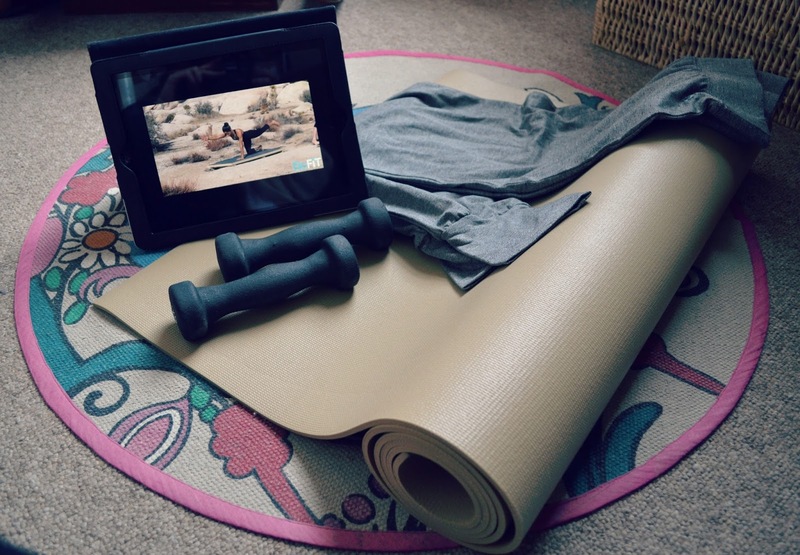 It turns out, there are a lot of great yoga videos and tutorials online, so with the right equipment, you can turn your home into your own personal studio. I bought most of my equipment from TK Maxx but you can buy yoga mats and weights from many different sporting retailers. TK Maxx also have a good selection online, including starter kits with mats, blocks and straps for under £15. I've built up a good selection of equipment now, including weights and straps which all help with stretching and toning. 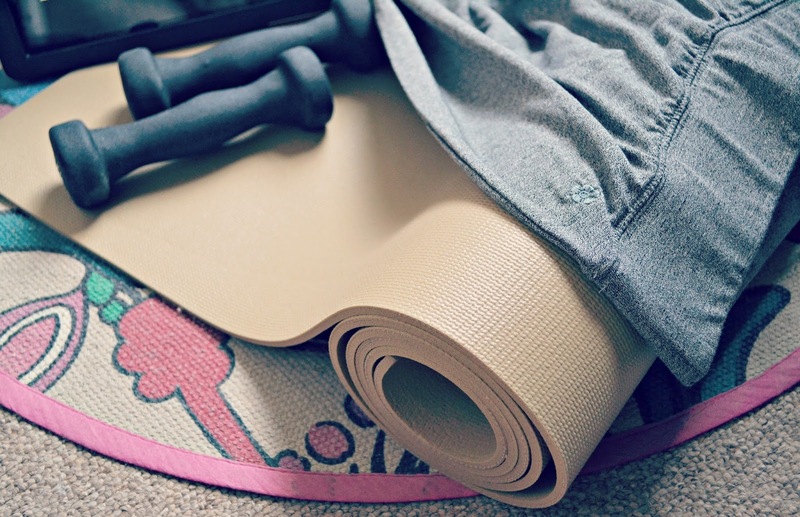 All you really need to begin with is a mat, and even if you can't afford that you can substitute it for a folded towel, so you can start off with very little outlay. 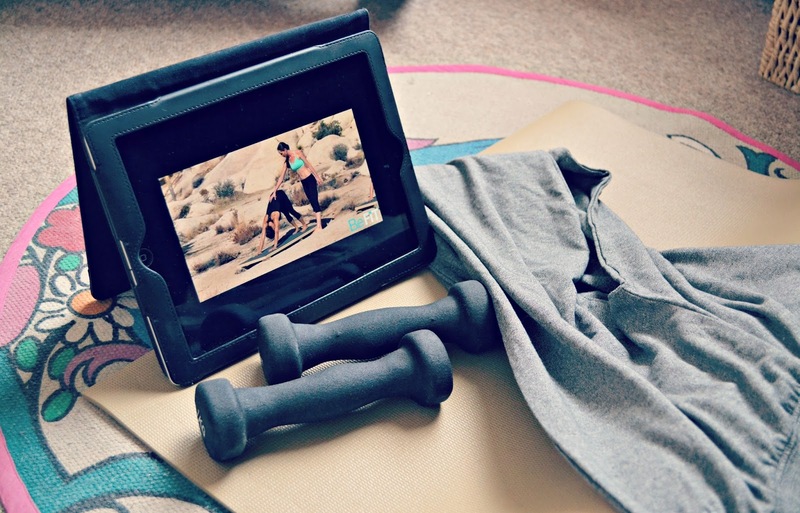 In terms of videos, if you type in 'yoga' on YouTube you'll be able to choose from a plethora of different workouts to suit different abilities. I found Tara Stiles through sports channel Livestrong Woman, where she had filmed a series of videos called 'The Yoga Solution' in which she addressed how common problems could be resolved by yoga in small, bite sized segments. There could be, for example, a short routine to open the shoulders, or a routine to aid knee pain. Following on from this I looked up Tara's personal channel in which she devoted more time to longer routines you could participate in; from weight loss series to building strength and achieving balance poses, they are all covered and there is a very easy link from beginner through to intermediate and advanced. Through another fitness channel, Be Fit, she has also recorded a couple of 50 minute routines that you can follow along, showcasing 3 yogi's at varying levels so there are modifications for even the most novice. I watch the videos on the iPad but you can use your phone or computer if that suits better! I love the high energy, body blasting tempo of power pilates videos from YouTube sensation Cassey Ho, and I do look to these for more toning work as she harnesses elements of yoga and pilates with an aerobic lean. Tara's yoga videos are much less intense but you can still completely feel the workout in your muscles days after and I love that yoga not only calms and focuses the body, but also calms the mind. I do most of my yoga in the evening as it helps me unwind and aids sleep. I have only recently invested in some nice yoga appropriate clothes to wear during workouts; the downside of working out at home is that you can do yoga in pyjama bottoms and a ratty old vest top and no one is going to judge you! However I have finally bought some more appropriate loungewear which is super comfortable and I got this from yoga website Manuka. When I bought the items I've got they had a mega sale on but the new season collection is just lovely; you can see how fitness bloggers spend so much on workout gear! EDIT: Manuka are currently offering 20% off the SS15 collection with code valentines-20 (enter this code at the checkout) but hurry, only available until 23.59pm on 14/2/15. I love yoga and even though I took it up to help with a bad back, it's helped in so many other ways. It's great to be able to switch off and just take some time, even if it's just ten minutes, to refocus and calm the mind, and yoga always helps to do this. Below I have linked some of my favourite videos which are particularly good for those new to yoga or just wanting to give it a try!